Black -- XL - Dispatch time 1-3 workdays Musta -- XS - Dispatch time 1-3 workdays Musta -- S - Dispatch time 1-3 workdays Musta -- M - Dispatch time 1-3 workdays Musta -- L - Dispatch time 1-3 workdays Dispatch time, what's this? Merino wool boxers for women, at a reasonable price. Lasting Merino apparel boasts an excellent quality to price ratio. Made of 100% they bring on all the benefits of wool clothing: steady warmth, great wearing comfort even after high exertion, and natural odor resistance as well as a smaller need for washing than synthetic fiber clothing. 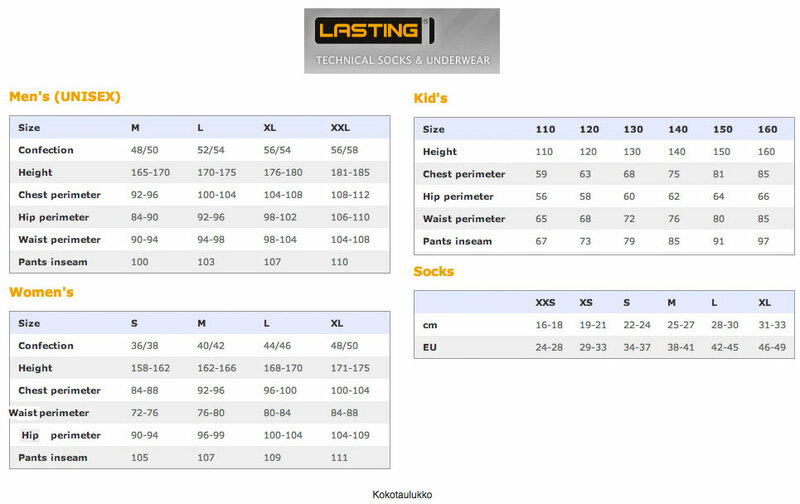 Extremely warm base layer pants for men. Merino wool boxers for men, at a reasonable price.